When many people think of deer they feel a sense of nostalgia from the popular animated icon Bambi. While deer are beautiful creatures who are most often calm and nonaggressive, for gardeners they can be a pesky presence. Deer can often be found grazing on your prized fruits and vegetables, and trampling and devouring your prized flowerbeds. As a gardener this becomes increasingly frustrating, leaving you looking for ways to make your garden less appealing to deer. 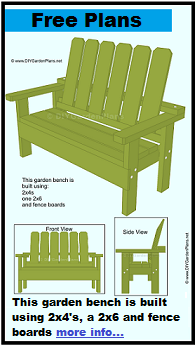 If you are looking for some simple and inexpensive ways to deer-proof your garden consider the ideas below. As deer populations continue to grow, gardeners who have never experienced issues with deer are finding them to be of larger concern. One of the most ideal ways in which you can deer-proof your garden is to add a tall, sturdy fence to the perimeter. However there are many disadvantages to building a fence. Fences can be costly, they block the view that you enjoy in your yard, and they limit your garden space. Another way to deer-proof your garden is to create a natural barrier to discourage deer from venturing further into your more prized possessions. This could be done by lining your garden with shrubs, or tall growing bushes. You could also create a diversion for deer by lining the exterior of your garden with crops deer enjoy to devour such as corn, strawberries, or string beans. With this second method the deer will eat the exterior items first, and not venture further into your garden. While there are fruits and vegetables you can grow in your garden that deer are less likely to devour, you may not want to limit your harvest by planting produce and flowers that deer are less likely to be attracted to. However it is easy to grow plants that emit a scent that deer will avoid. These include items such as sage, yarrow, oregano, and lemon balm. You can plant these herbs around the perimeter of your garden to discourage deer from venturing further inward. 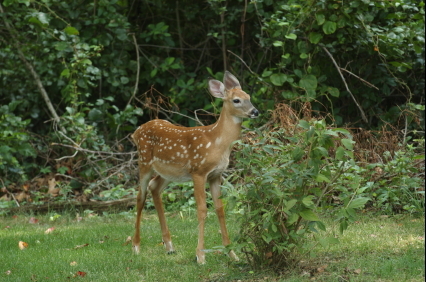 Another method of scent-proofing your garden is to spray your plants and flowers with scents that deer dislike. This includes watered-down Tabasco sauce, mustard, tobacco, garlic, cayenne pepper, and shampoo. You could also line the edges of your garden with garlic, rotten eggs, onions, and mothballs. Natural Solutions to Pest Control Prevention is going to be your best way to keep the pests at bay. Practicing good husbandry techniques that keep,..